Toshio is a Japanese composer. 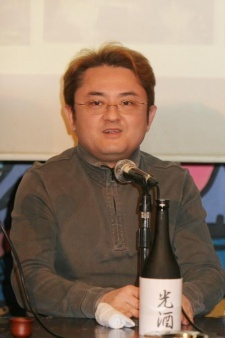 He has composed and synthesised scores for several Japanese television shows and animated series. Naruto Narutimate Hero 3: Tsuini Gekitotsu! Jounin vs. Genin!! Musabetsu Dairansen Taikai Kaisai!! Naruto: Takigakure no Shitou - Ore ga Eiyuu Dattebayo! The tone and style of the background music in the Naruto anime has changed and evolved between the series' earlier episodes and the story lines that appear in Naruto Shippuden. Find out more about the Naruto music from the OST and how it has evolved. The OST for Mushishi is beautiful and breathtaking. An absolute masterpiece. MUSHISHI SOUNDTRACK THE BEST EVER!